I love this recipe for so many reasons. One because it's so easy to put together. And another is because you can eat it anytime of the day. My favorite time to have them is in the morning with a cup of coffee. Make the crust and topping mix and reserve 1 cup of it for the topping. Press the remaining mix into foil lined pan. 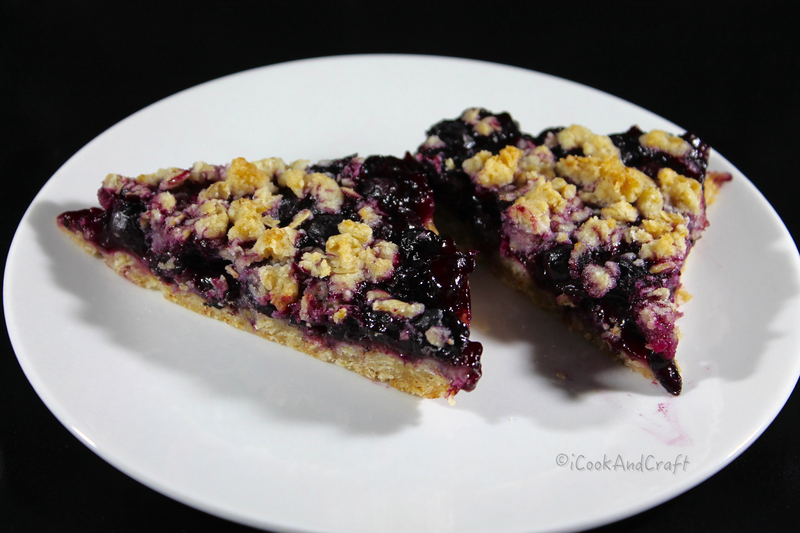 Make the blueberry layer and pour over the crust. Crumble topping over it and bake for about 50 minutes. If you’re using fresh blueberries cook it for about 15 minutes less. Here's a video showing how to make this delicious anytime treat!